Want to take fruit photography that look yummy and appetizing? In this article, I will tell you how to choose the proper fruit photography equipment, lighting, and give some useful tips and creative fruit photography ideas. Fruit photography is a specific genre of food photography, which is used for commercial and creative purposes. If we treat fruit photography in a creative manner, it is commonly a fruit still life photography or conceptual photos. Commercial fruit photography is aimed at reveling and showing specific properties of a product (e.g. juiciness, palatability). Most often it is an advertisement of various drinks, where the buyer must identify the shown fruit with the drink itself. If you have never took the photos of fruits, check out my basic food photography tips on how to bring the quality of your fruit photographs to a professional level. You may always edit your fruit photos in Photoshop, but it can be difficult for beginner to work with a rounded surface. So I recommend to pick the perfect and fresh fruit to photograph. Choose impeccable fruits (the taste of which is not always as good as it seems). Attempt to arrange your fruit carefully and in a certain order. If you wonder how to photograph fruit, for instance, a bowl of apples and pears, try to give each type of fruit the same space. Arrange them so that they are all placed at slightly different angles – accidentally, but in an organized way. If you have a small fruit bowl, consider using an odd number of items (three or five). It is based on the rule of odds, which states that people are more comfortable looking at odd groups of objects rather than even numbers (odd numbers are dynamic, while even numbers are static). Need some inspiration? Check out these creative and surrealistic food photography ideas from professional photographers you can use to take beautiful photos. As soon as your objects are neatly placed, mount the camera on a tripod and select a small aperture so you may get a decent depth of field from the foreground to the background. Depending on the amount of light passing through this window, you can use a slow shutter speed (hence the tripod). Don't raise the ISO value. Your goal is to capture details, and higher ISO means increased digital noise and fuzziness of details. When composing fruit photos, it is important to remember the rule of thirds. Try not to place objects precisely in the center of the frame without a strong necessity. Don't forget about other compositional techniques, such as rhythm. Take numerous shots, try different versions of the composition, experiment, improvise with the composition and lighting. This will allow achieving interesting and unique shots. I recommend you watching a course about Food Photography: A Recipe for Savory Success by Nicole Young where you will discover everything from photo gear to food styling techniques. As a background, you may use everything you can imagine. But you must remember that if the background is too colorful and diverse, it will interfere, distract the viewer from the plot of the picture. A solid wall, some fabric or paper can serve as a perfect background for a fruit photo. Of course, you may use specialized photo-backgrounds made of paper, non-woven fabric (the cheapest and most practical) or plastic, which is sold in photography stores. While preparing for fruits and vegetable photography, I prefer to stay close to the source of the produce. You may visit farmers’ markets with hundreds of shops selling fruits and vegetables picked the same day, or even contact the specific farmers directly. Connection with the nearby farms is the best way to keep your products fresh, and hence, the freshness of images. It is also a great way to pick a wide variety of products in abundance. Most, if not all, fruits and vegetables from the local farmers are organic and look amazing in the photo. Each particular fruit or vegetable needs to be processed to look fresh. With herbs, I cut off their bottom and store them in a jar of water. This prevents them from getting limp before they have time to sink. As for the salad, before shooting I put it in the tub with ice water for it to look fresh. As for most fruits, I spray them with a mixture of 50/50 water and glycerin to give them a fresh and juicy look. I have already mentioned a vast variety of decorative elements to enhance the composition, but in many cases, it is better to stick to minimalism. The colorful fruit of unique shape on a bright contrasting background calls for a simple composition. In this way, a picture of fruits will look more appealing and eye-catching. Read more about how the camera and lens work and how to take better fruit photos with studio and natural light. Make your food photos look yummy and juicy without spending much money on equipment. Plenty of well-known fruit photography artists are recognized by their own peculiar style, for instance, black and white fruit photography. Their style is characterized by some dominant features which aren't found in other works. You start developing your style once you think about the subject, the arrangement, the decorations of a future shot. When you are satisfied with the result, you do your best to have a consistent look in all of your imagery. Soon, your taste will become more advanced and your one-of-a-kind style will be more noticeable in the photos. There exist many different ways of shooting fruits. You may enhance the most common fruit composition using props, change the scene or experiment with shape and texture. Below I have prepared 4 most interesting ways to add visual interest to your fruits images. For sliced fruit photography, you may use any fruit that may be cut in a relatively neat way. Hard fruits are the easiest to use. Once you decide on the fruit, you need to determine how to cut it. Some fruits are too soft to be sliced. Some fruits look best when they are wet. If you want, you can spray some water to make them look fresh. You can make fruit slices seem like they are soaring in the air. In most cases, I use toothpicks to fasten them. Later, the toothpicks will be removed during fruit photo editing. The best way to arrange fruits and toothpicks is to imagine how the composition will look like when the toothpicks are removed. First, carefully add the toothpicks, balancing the fruit, then attach all the necessary slices. It's no secret that the texture of the fruit pulp itself looks intriguing. The main thing is to display it in an appealing way to the viewer. Food stylists and fruit photography artists, who are fond of macro photography, shoot products or any objects in carbonated water. The subject is "covered" with air bubbles, which contributes to the image airiness, brightness and beauty. Choose highly carbonated mineral water, because it has larger and more durable bubbles. You may use a glass cup or a plastic box as a container, in which you are going to take a picture of fruit. It is convenient to use rectangular glass containers or shaped cans of dairy products. Of course, the containers should not leak and be sealed, because the shooting may last from a few minutes to an hour or more. Romanian photographer from Bucharest, Radu Zaciu, made an experiment connected with fruits and vegetable photography using internal product illumination. He placed the lamp inside objects, which served as the main source of light for his series of "luminous" shots. This creative fruit photography project is called “The Light Inside”. It gives us a different perspective on what we eat. The process begins with making a hole in the vegetable or fruit, for example, with a drill. The hole should be large enough to insert the bulb. At the same time, you need to leave the pulp, which gives a special, unique color to the glow. Radu Zaciu worked with a variety of fruits and vegetables: kiwi, cauliflower, white cabbage, pineapple, potatoes, strawberries, pumpkin and others. For small ones – he brought into play the small light bulbs, for larger ones – 40W bulbs. The lighting was very weak, so the photographer shot in the pitch dark at the long shutter speed (more than ten seconds to properly expose objects). Radu Zaciu adds a bit of light for the leaves to capture them as well. For the conceptual fruit photography type, you need to take two factors into account – personal creativity and props. Cubes of vegetables in the form of a Rubik's cube, banana as a shoe, or a carrot instead of a lipstick – here you are limited only by your own ingenuity. It is important to use the props moderately, because the main star of your shot is the fruit. Since a fruit typically has a round shape, the light incredibly bounces off of it, especially if the light is correct. By correct light I mean the diffused and soft one, which works for the majority of photographed objects. The light coming from the window is definitely a way out. However, if you wish to take fantastic fruit photos, the sunlight shouldn't be direct and a window must have sufficient sun exposure. For the softer and more diffused light, it is recommended to hang a transparent curtain over the window. Read this eBook if you can't decide what photo gear you need for good and professional light for your fruit photographs. Everything from expensive, affordable, cheap, and DIY equipment. In case you need to drastically alter your fruit photos, experiment with the direction of the light. I suggest you locate a fruit plate near the window for the object to be illuminated from the side. In this way, you will increase the quality of a picture. When you have one light source, the item will be greatly illuminated from one side, while the other one will be dark. By setting up sidelight, you can put emphasis on the texture of the fruit. All small elements and details of the surface are more noticeable if you stick to sidelight. This type of lighting is also commonly used. Position yourself with the camera in front of the window in such a way that the light comes straight from behind you. The light is supposed to strike the front of the fruit plate and, as a result, it will be even. Nevertheless, the front light is quite problematic, as it can make your fruits images flat. It means that the shot won't feature necessary highlights and shadows. In case of shooting with front light, a fruit might lose its appeal in the picture. It is explained by the fact that the items illuminated from the front will have concealed shadows behind them. These shadows add more dimension and reveal the texture of an object, so you don't want to hide them. Last but not least, you may use backlight for your fruit food photography. Many food photography enthusiasts prefer this type of lighting, as it produces outlined highlights along the edges of the elements. Still, there may be some difficulties. For instance, backlit items results either in the dim background with properly lit objects or a bright background with dark, barely visible objects in a shot. Still, if you opt for backlight, I recommend investing in reflector which will throw light on the shadows and an object won't turn out to be underexposed. For fruit photography, almost any camera is appropriate. The main thing is the possibility to adjust the shooting parameters manually. A good choice would be a DSLR camera, both the simplest ones like Nikon D3200 or Nikon D3300 and more advanced ones like Nikon D7100 or Nikon D610. Before purchasing, I suggest searching for reviews and visiting a nearby photography store to test them out. In case you manage to find the camera which seems convenient and meets your requirements, don't hesitate to buy it. Keep in mind that, in food photography, the lens plays a more significant role than the DSLR. Therefore, it is better to buy the lens additionally. Read about my list of the best cameras for product photography you can buy for affordable price. Perhaps the best choice for shooting fruits is fixed lenses with a focal length of about 50 mm for cameras with APS-C matrix and of about 85 mm for full-frame devices. Popular lenses, such as AF-S NIKKOR 50mm f/1.4 G, AF-S NIKKOR 85mm f/1.8 G, macro lenses AF-S Micro-Nikkor 60mm f/2.8 G and AF-S Micro-Nikkor 105mm f/2.8 G VR meet these criteria. Personally I prefer fixed lenses, as they are typically inexpensive, compact and swift in comparison with zoom ones. Fixed lenses provide a rather wide aperture which is great to regulate the depth of field and ensure flexible shooting process. Still can’t choose a good lens? Check out my review of the best lenses for product photography you can use to take awesome fruit photographs. In case you prefer the side light and a dramatic-looking image isn't a desirable option, a reflector will come in handy. Its function is to throw light on the shadows. Using a reflector, your pictures will have just the right amount of contrast and all the necessary details will be visible. Tripod is needed primarily when shooting without flashes, with constant light. It will allow you to shoot even in low light with minimal ISO, at long shutter speed. Therefore, you will get high-quality shots. Secondly, you will be able to accurately compose the frame, without tilted horizon lines. Such shots are not taken at the first try. So, in order not to run with the camera in hands, adjusting the composition, it is very convenient to put the device on a tripod. If you’re not going to use a tripod for other photoshoots, choose among the best budget tripods that can also help achieve clear photos. Since fruit photography is closely related to commercial photography, the photo must be flawless and good for printing in high resolution. You should do deep color correction, make background white, add natural shadows, remove unnecessary objects, etc. Want professional food photo editing as on the example above? Send your fruit photos to FixThePhoto to make professional color correction and image retouching for about $5 per photo. 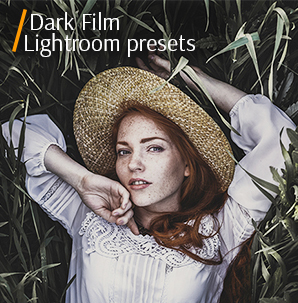 To make photo editing faster and easier, use the following free Lightroom presets. 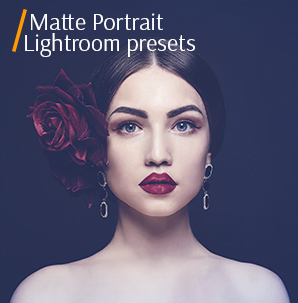 Each has its own style, which will help improve the quality of your photos in several clicks. This preset makes the colors more saturated. This is a very important parameter for commercial photos of fruits, as it makes them more juicy and attractive. This preset is great for almost any type of fruit photography. 2. LR Preset "Reduce Bright"
The preset allows you to remove excessive brightness from the photo. It helps make the image clearer with distinct details, which is important for all subtypes of product photography, including fruit photography. Besides, it is good for optimizing pictures of small fruits or berries. The preset increases image clarity. If you have difficulties blurring photos while shooting, this preset will help you fix the flaw. The “Clarity" preset is perfect for any type of fruit food photography, where every detail in the frame is important, regardless of its place. 4. 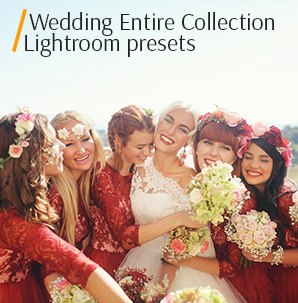 LR Preset "Warm Contrast"
This effect is included in the list of the best food photography presets. It adds contrast colors to a photo, generally improving the image toning. The preset creates a magical warm contrast, which reminds of dishes prepared in childhood. It is perfectly suitable for summer garden fruits. The preset increases the brightness of the image. This would be a great way out if you had difficulty with the right lighting during shooting. The preset is very versatile and its application depends on the mood of the photo fruit.